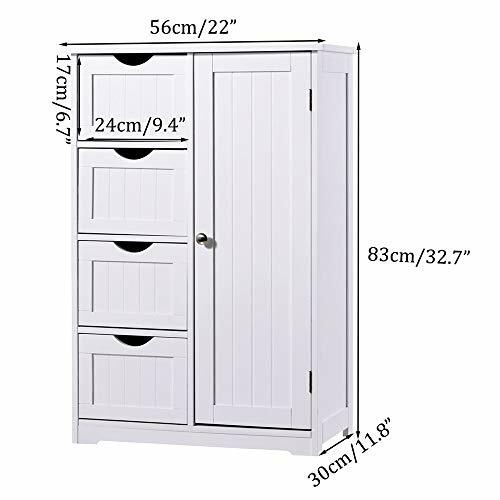 【Compact Exquisite Design】This bathroom floor cabinet is designed with compact exquisite feature, which in size 22 x 11.8 x 32.7inch (56 x 30 x 83cm). Suitable for bathroom, bedroom, drawing room, kitchen or wherever you like to keep neat and clean. 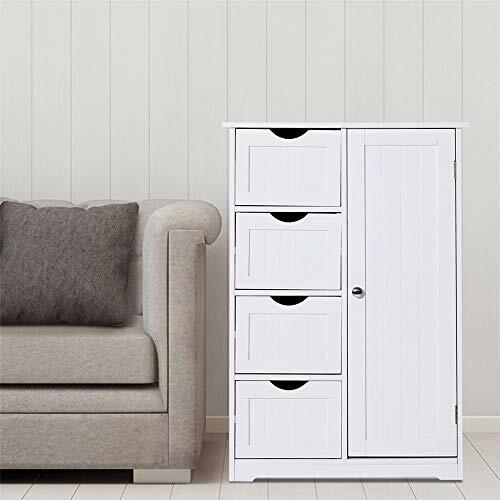 【4 Drawers & One Cupboard】The storage cabinet features with 4 drawers and a big cupboard, that have more room to place clothes, towels, toiletries, wine, wine glass... 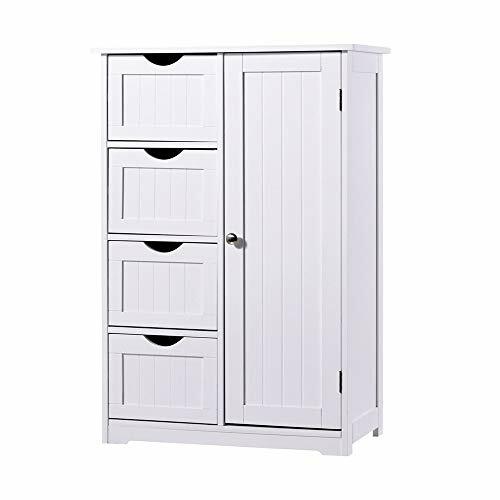 Besides, you could also place flowers, photos or other objects on the top of this cabinet. 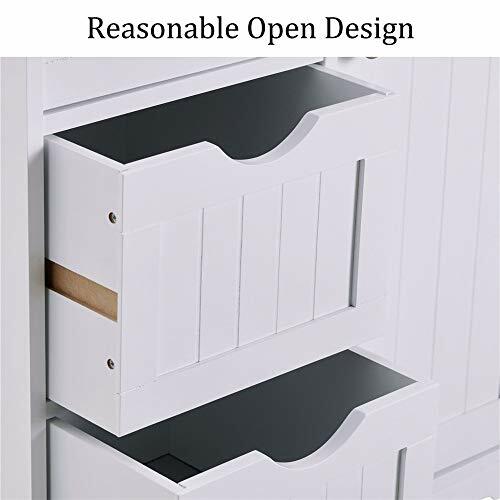 【Waterproof Material】Be made from durable MDF( Medium Density Fiberboards) natural wooden material, a pure white finish with environmentally friendly, no harm to people. 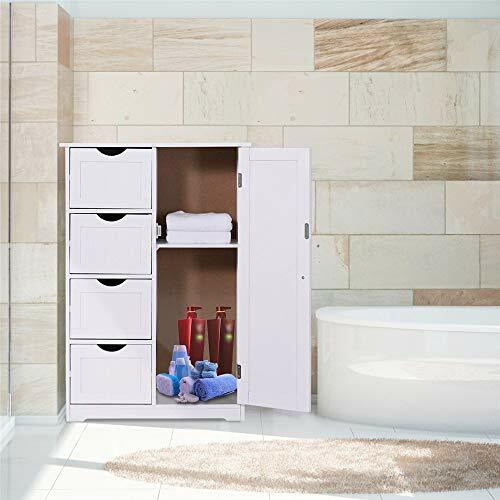 Prevent moisture & Water-resistant design is suitable for bathroom use. 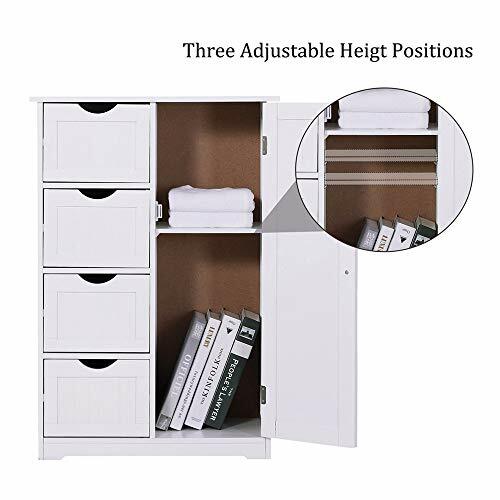 【Adjustable Shelf Height & Reasonable Open Design】The shelf of the right cupboard can be adjusted its height in 3 positions to meet different needs; each drawer has a hole for handle and the big cupboard has its round handle, easy to open and close smoothly. 【Self-install Required】Needs to be installed by yourselves. Easy to assemble according to the manual user. 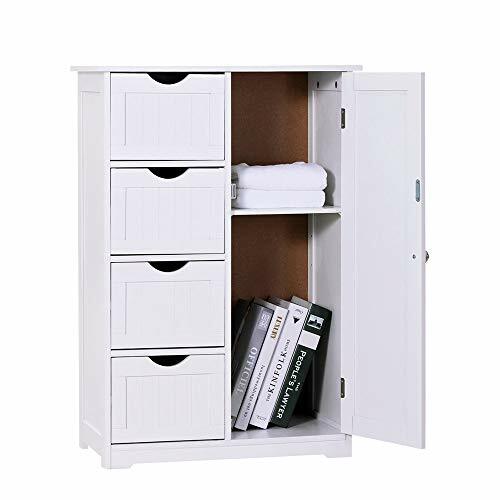 If you have troubles with our cabinet or its operating steps, please don't hesitate to contact us. We promise 24 Hours Customer Service and 12 Months Warranty Period.